An Avantco manual meat slicer is the perfect choice for small businesses that need to stick to a budget. These units can slice meat and vegetables for a few hours every day which makes them ideal for low-volume establishments. Avantco offers these manual meat slicers in ¼ hp, 1/3 hp, or 1/2 hp so you can get the unit with just the right amount of power for your needs. The stainless steel blade ranges in size from 9” to 12” depending on the model you choose. Not only do these blades resist corrosion over time but they also feature a built-in sharpener to make sharpening and maintaining your blade a breeze. Since Avantco always keeps your safety in mind, these slicers have a fixed ring guard that prevents accidental contact with the blade so your employees will be safe during use. You can easily adjust the thickness of the cut between 1/16" and 1/2" with a simple twist knob. Made of high quality aluminum, you can rely on both the durability and appearance of this slicer to last, making it ideal for use in the back or the front of the house. The smooth aluminum is also easy to wipe clean, and the clean-up process is made even easier by the removable carriage. An Avantco meat slicer will let your small business get the consistency and ease of use that you're looking for without paying the heavy-duty slicer price! Designed for the budget-conscious small business owner, Avantco meat slicers deliver convenience and value. Each slicer is both easy to operate and easy to clean, while keeping employees safe and cuts consistent. 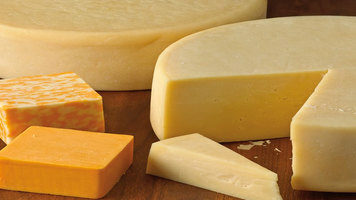 Learn how AMPI manufactures their quality cheeses from start to finish! Their processes are meticulously managed and supervised, ensuring every product is safe, fresh, pure, and delicious. 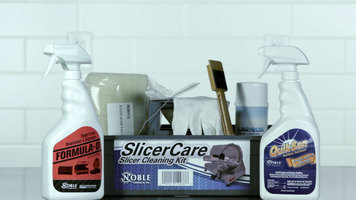 Proper cleaning and maintenance of your equipment is necessary in the foodservice industry. 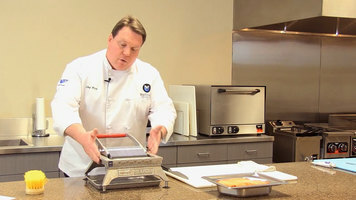 Watch this video to learn how to clean your Vollrath Redco fruit cutter, and keep slicing fresh apples, pears, and other tasty produce with ease!